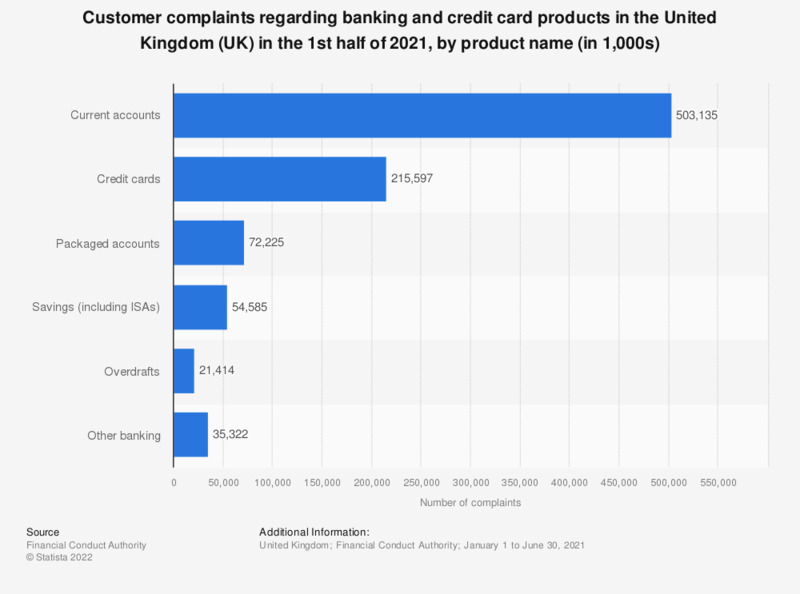 The statistic presents the number of complaints to the Financial Conduct Authority (FCA) regarding banking and credit card products in the United Kingdom (UK) during the first half of 2018, listed for specific product names. The total number of complaints lodged against current accounts amounted to over 600 thousand cases in the first half of 2018 alone. Wales: Which, if any, of the following financial products have you personally purchased in the last 12 months? Scotland: which, if any, of the following financial products have you personally purchased in the last 12 months? Northern Ireland: Which, if any, of the following financial products have you personally purchased in the last 12 months? Which of the following products or services provided by banks or financial service firms do you currently use personally?